Microgreens vs Sprouts | Faddegon's Nursery, Inc.
Microgreens vs Sprouts – what’s the difference? Big thanks to Botanical Interests for writing this up! Microgreens and sprouts are trending everywhere from cooking shows and magazines to fancy restaurants and food trucks. But here’s a secret – you can grow microgreens and sprouts right in your kitchen for pennies! Microgreens are young, leafy vegetables or herbs that are harvested just above the soil line when the plant is 1-2 inches tall. Microgreens include the first pair of leaves, called cotyledons, and one set of just developed “true” leaves. They are grown in flat trays using soil or soil-less media and are ready to harvest in about 7 to 14 days. Recent research has shown that the nutritional value of microgreens can be higher than mature plants, adding to their popularity with chefs and home gardeners. 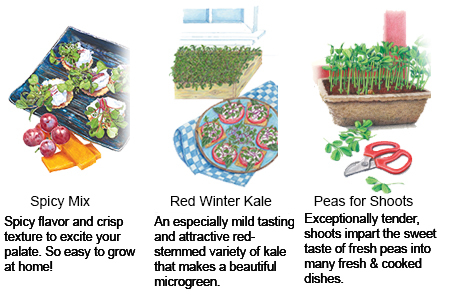 Spicy Mix, Red Winter Kale, and Peas for Shoots are delicious and just a few of the varieties are carry. Sprouts are young shoots from seeds, beans, legumes, and grasses that are not grown in media. The whole sprout can be eaten-seed, roots, and stem – and are ready to eat in about 3 to 5 days. 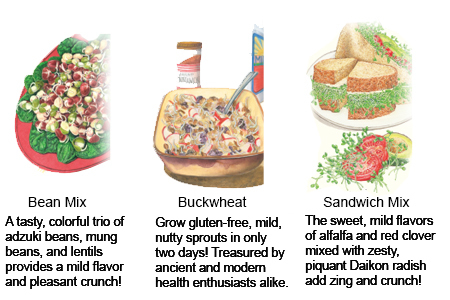 Some of the most common sprouts are alfalfa, mung bean, radish, garbanzo, buckwheat, and fenugreek. They are nutritional powerhouses that contain a high concentrate of antioxidant nutrients. 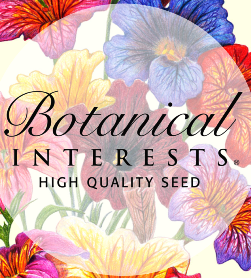 Choose from our 12 sprouting seed varieties from Botanical Interests Seed Company and use the Botanical Interests Seed Sprouter for convenient growing. Some of our favorites? Bean Mix, Buckwheat, and Sandwich Mix.